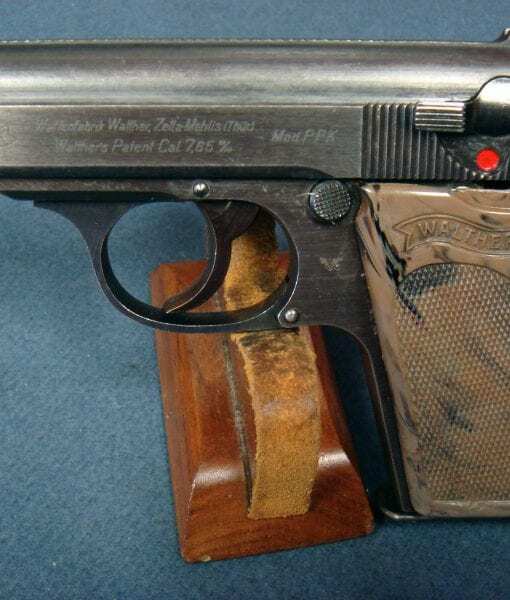 SOLD WALTHER PPK PISTOL……LATE WAR POLICE “EAGLE C”………ULTRA RARE AND DESIRABLE GRAY GRIP! 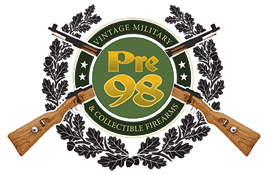 In 96% condition we have a very desirable example of a later war milled finish Police Eagle C marked Walther PPK pistol with the extremely rare and desirable gray grip. 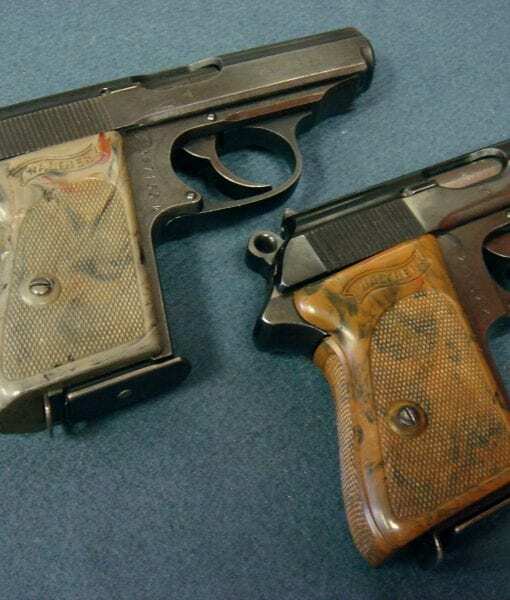 These very distinctive looking grips are quite rare and show up occasionally in the later war PPK production. 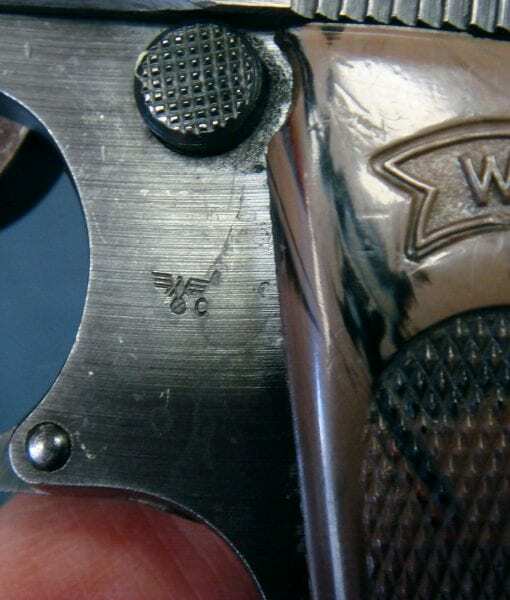 This is probably one of the most strikingly colorful example of this grips we have ever seen with a lot of red in the mottling. 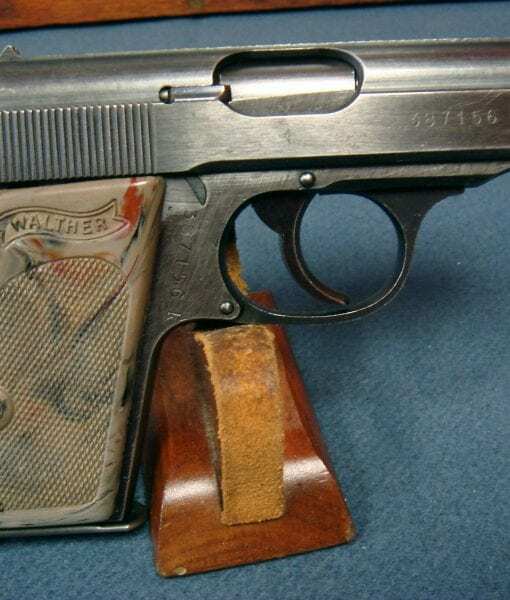 These grips are not as durable or nearly as well made as the standard brown grips and they have casting flaws and some roughness owing to the properties of the materials they are made of. 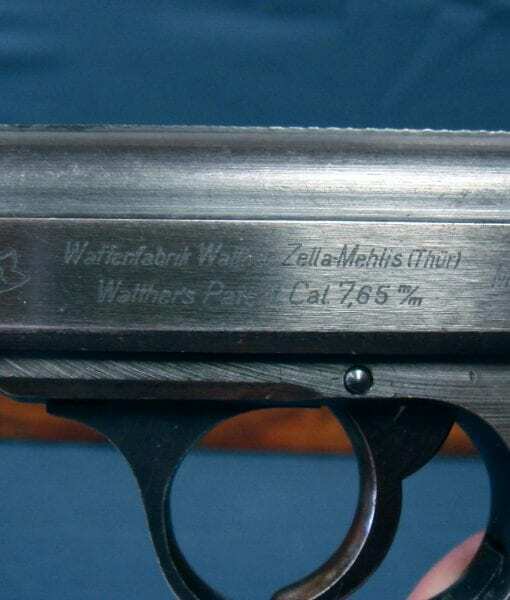 This pair however is extremely desirable and will be a must have example that will drive any Walther collector wild.